The holiday season is upon us like a full-court press, and if you are building, now’s the time to get busy. Of course, at Tom’s Workbench, we want to help make building those gifts easier for you – and those of us who will be waiting until the VERY LAST MINUTE to start building. We like to call it the Last Minute Elf. Again, what we are hoping that you will do is share with us some of your most awesome last-minute gift build ideas. We will mention everyone, and my trained Shop Monkey and I will be selecting the best of the best for some fabulous prizes. How fabulous? 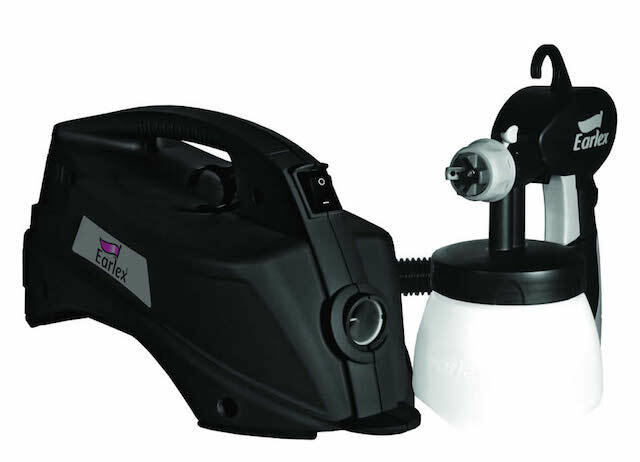 Or, maybe an Earlex Spray Station HV2901 is more your speed. If you ever wanted to get into the wonderful world of spray finishes – and the efficiency of an HVLP system – this may be just what the doctor ordered, provided courtesy of our friends at Wagner/Earlex. 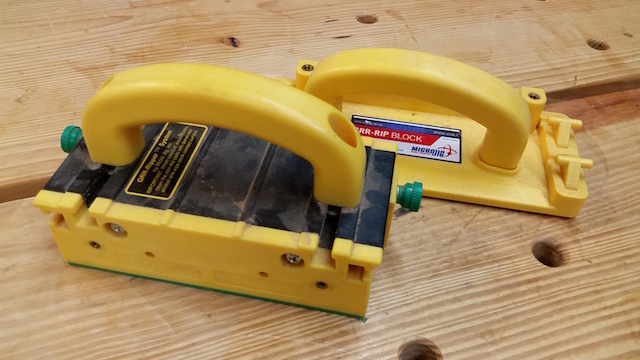 Looking for table-saw accuracy from a circular saw (if you ever work with sheet goods, your back will thank you!)? Our friends from Bora Tools are offering up their WTX 50 inch saw guide, the 50 inch extension (that’s 100 inches of cutting length!) 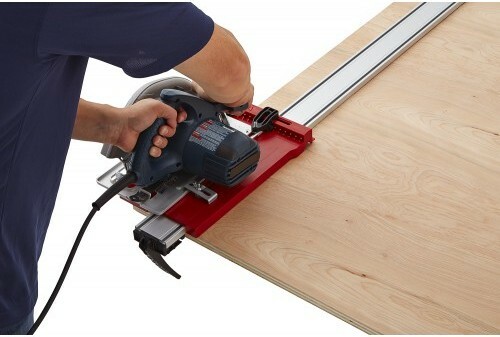 and their Bora Saw Plate. One heck of a prize. 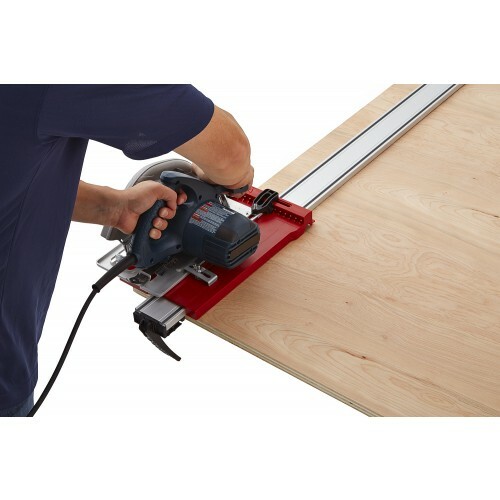 And, if you are cutting on that table saw, you are going to want a super-premium blade to make sweet cuts. 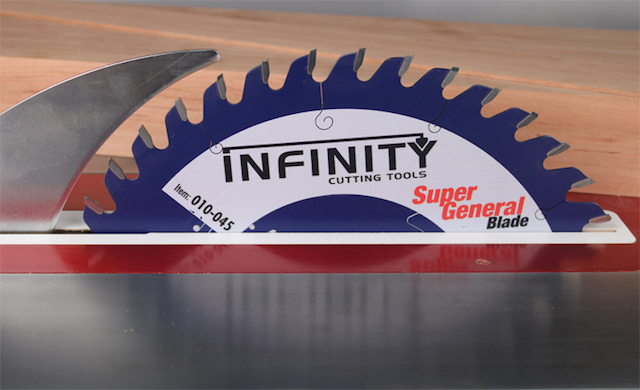 That’s why Infinity Cutting Tools is offering one of their Super General Thin Kerf 10″ saw blades. They are a very cool blue, easy on the ears and leave a beautiful cut line. My fellow shop simian and I are working to bring in a few more sponsors to improve the prize kitty, so stay tuned! How do you get in on this action? Easy. 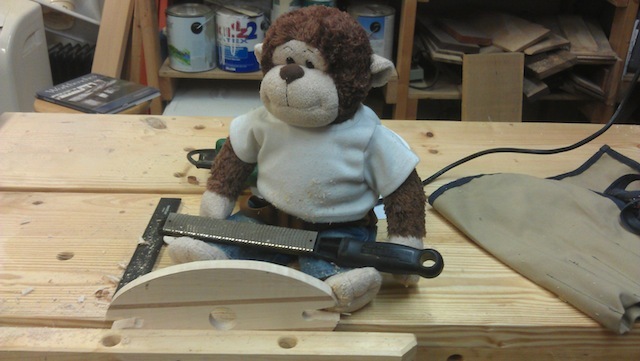 Just be sure to send an e-mail to Iggy@tomsworkbench.com with a photo of a holiday gift you have built. The idea is something that doesn’t take a lot of time or material, but will make for one happy recipient on the big day. Now, get out there in the shop and get to Elfin’!